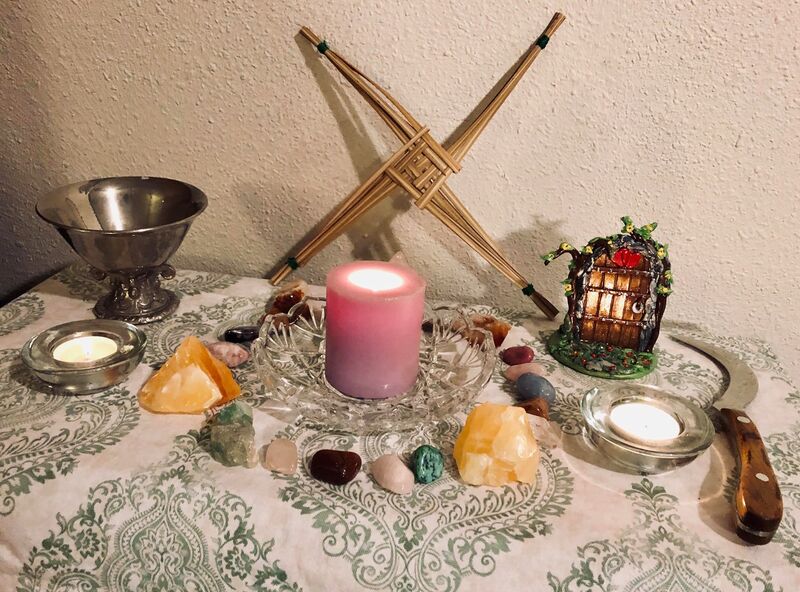 We finally got our altar shifted from Winter Solstice to Imbolc a couple days ago. Yes, this is the time to renew ourselves, rest, and to look within. That doesn’t mean that you cannot also seize an opportunity when it comes along, as today’s card suggests it might. Balance is key. Is the falling star shown coming to you or are you going to miss its promised opportunity? Meaning: Get ready for a sense of renewed hope and of being inspired, for the Star brings these feelings to our day. It represents faith, inspiration, bright prospects, fulfillment, and a promising opportunity. 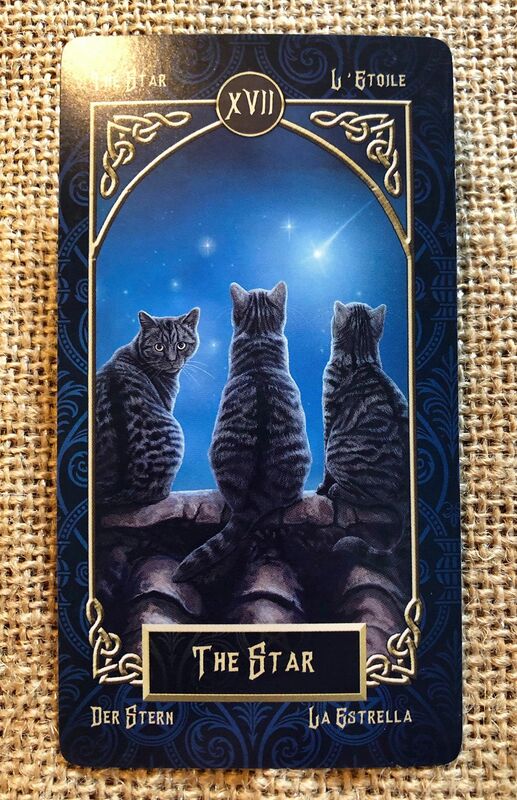 Also, as the one cat looking back while the other two look forward indicates, the Star is a mix of the past and present. Drawn reversed, the Star suggests unfulfilled hope, disappointment, and stubbornness.